Motivated Seller!! 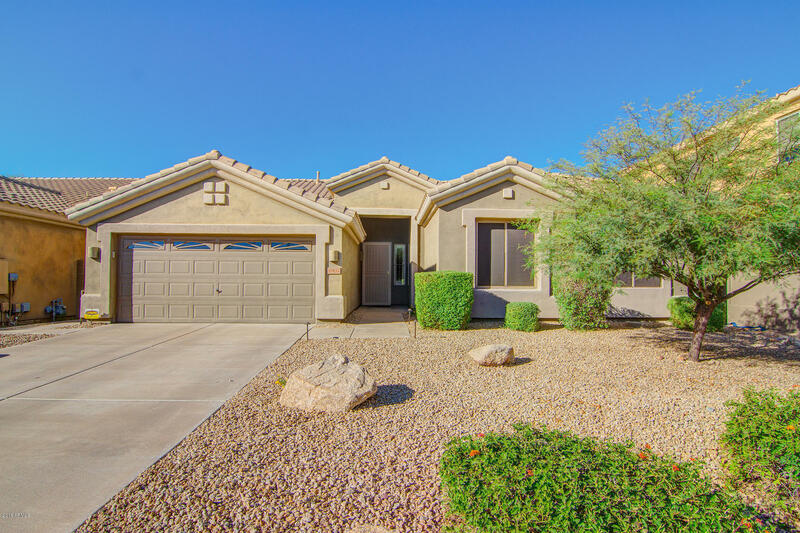 Beautiful single level home located in a gated golf course community of McDowell Mountain Ranch. The spacious back yard has a private fenced pool, extended covered patio and a large open area with artificial turf. No homes directly behind with view fencing and desert landscape! Great cul-de- sac location with low traffic! Upgraded white shutters and ceiling fans throughout the home. The kitchen offers granite counters, island with extra cabinets, and stainless steel appliances. Garage has built-in cabinets and a work bench. Split floor plan with a family room. Enjoy all of the amenities that McDowell Mountain Ranch has to offer...community pools, splash pad, basketball courts, volleyball, tennis courts, playgrounds, BBQ areas and ramadas.